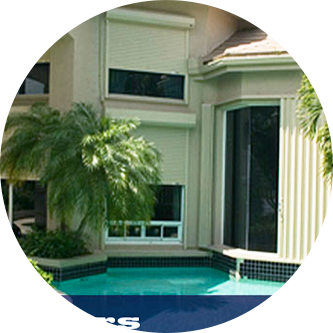 Rolladen custom tailors our rollshutter products to suit your home's style. Rolladen utilizes a custom manufactured upper housing and side mounting system to help assure long-life performance. With over 300 hood configurations Rolladen's rollshutters can suit almost any application. Unique to Rolladen manufacturing is our Monocoque Integral Fastening System. 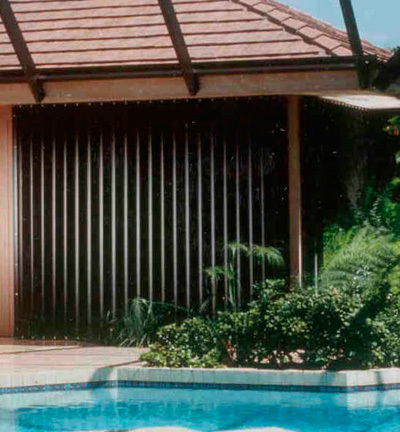 Rolladen Rollshutters follow an engineering principle used in the aerospace industry, where the extruded aluminum framework becomes an integral part of the original structure. This design concept helps to ensure strength and endurance and allows the hurricane shutters to be precisely adjusted and aligned. 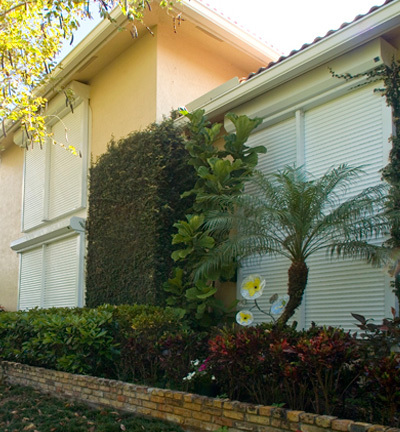 Ruggedly beautiful, Rolladen Accordion Shutters are designed to help deliver storm and security protection for entry doors, sliding glass doors, windows, patios, balconies, even the curved areas and bay windows of homes and condominiums. Rolladen specializes in commercial buildings as well as high-rise condos and homes, businesses of all kinds depend on Rolladen Accordion Shutters to help protect their storefronts, entry ways windows, service areas, and kiosks. Rolladen Accordion Shutters are build strong to last long. They're constructed of high-impact, weather-resistant extruded aluminum. 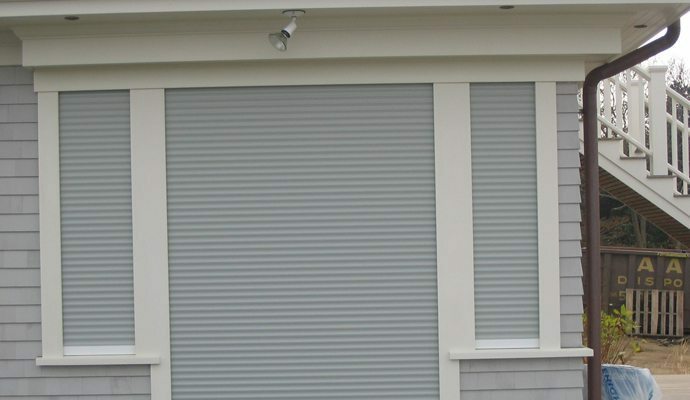 Easy to operate Accordion shutters glide horizontally on a unique stainless steel support and roller system. And with the Rolladen Secure-Lok double-locking system, you can help protect your home or building in seconds. The classic style and decorative beauty of traditional wood colonial shutters are now captured in rugged, durable aluminum. Rolladen Colonial Shutters are securely hinged to close neatly and quietly over window openings to help give you high-performance storm and security protection. 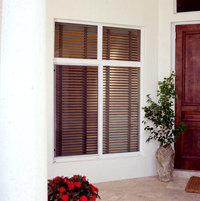 Available in a variety of colors, Rolladen Colonial Shutters are practical, beautiful and easy to operate.